After Vatican II, the representatives of the Catholic Church made arrangements for the Hostel to become a luxury hotel. It is not easy to ascertain from the available information whether the Archdiocese of Santiago still has any control over it. At any rate, those authorities left intact the Hostel Chapel with its altar and statues. The result is that all kinds of inconvenient and even blasphemous events are being held in that Chapel in front of the altar. 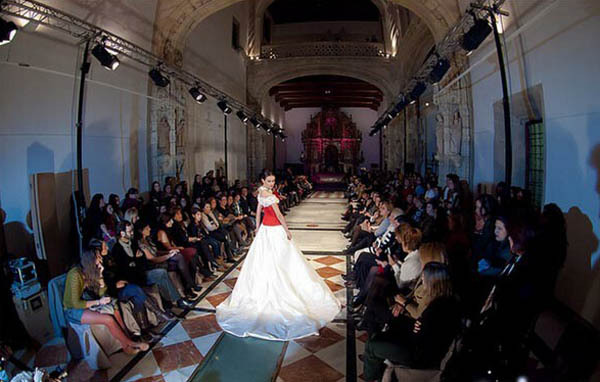 An example of such an impropriety staged in the Chapel was the Galician Fashion Show 2011, which took place last November. The pictures on this page reveal that no moral restraints were placed on the Show organizers to keep from desecrating that Chapel and site with their venerable religious and noble past. The boldest fashions were exhibited right before the altar. Woe to those responsible for that profane display! 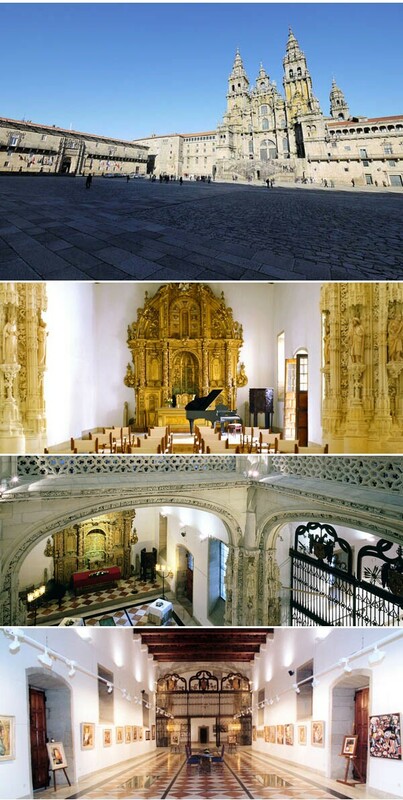 In the last three rows below, you can see the Chapel being used for concerts, conferences and modern art shows.